The Roanoke Island Historical Association (RIHA) has announced the dates for the local Outer Banks auditions for the 2019 season of The Lost Colony. Associate Producer for The Lost Colony, Lance Culpepper, has organized the auditions and will be joined by Music Director, McCrae Hardy, Choreographer, Pam Atha, and Fight Director, Robert Midgette. 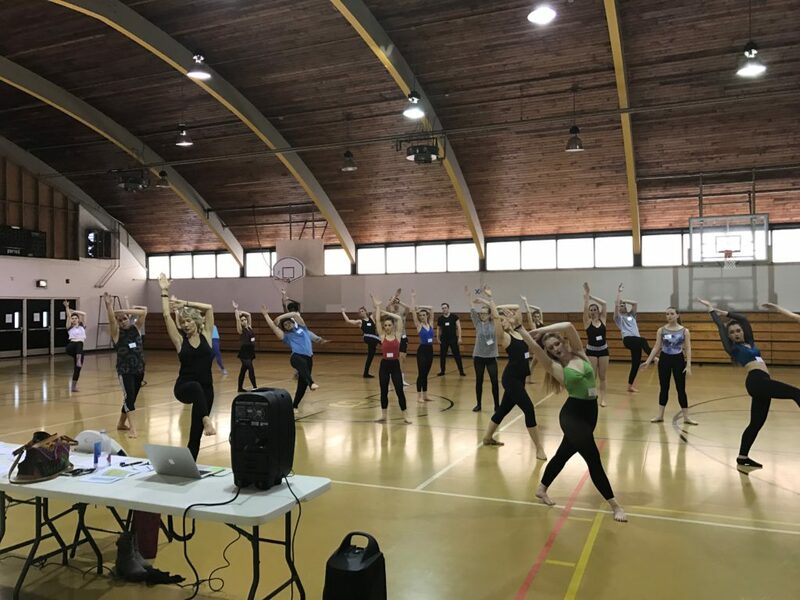 Auditions are slated for Saturday, February 16, 2019, at Manteo High School, 829 Wingina Ave, Manteo, NC. Registration opens at 8:40 AM and auditions will begin at 9:00 AM. Everyone attending the auditions is requested to bring a recent photograph and resume. Additional information will be collected at the time of registration. 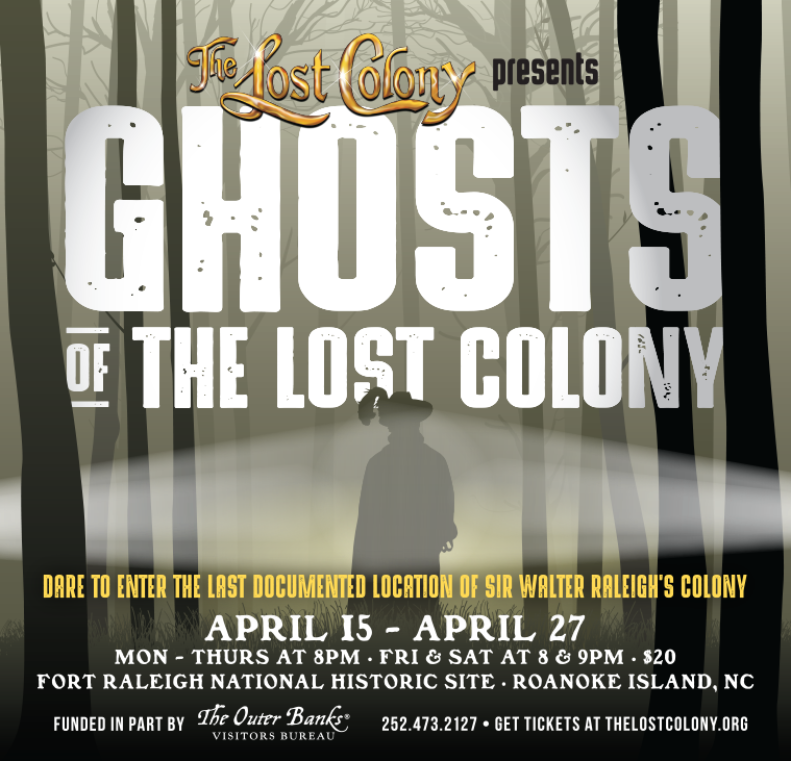 On Friday, February 8th, The Lost Colony will hold local auditions for its upcoming 2019 production of Ghosts of the Lost Colony! Auditions will be held at 6:00 PM in the Lost Colony Building, 1409 National Park Drive, Manteo, NC. Become part of the cast of ghosts and ghost hunters entertaining visitors and locals alike. The cast will lead the tours as they roam Fort Raleigh Historic Site to discover paranormal hot spots believed to be associated with spirits of The Lost Colony of 1587 and The Lost Colony production. The Lost Colony is seeking all ages for speaking and non-speaking roles for Ghosts of the Lost Colony. All positions are paid. Rehearsals will begin in April and the first student group performance will be April 11th. Performances open to the public April 15th and will run every night but Sunday until April 27th, 2019. Tours leave at 8:00 PM from The Lost Colony ticket office, Fridays and Saturdays will offer an additional 9:00 PM tour. See here for more audition information and dates.